Giving in is not a possibility you have to consider relating to the type of automobile you not only need to own, but also want to drive around the streets of Westbury NY. 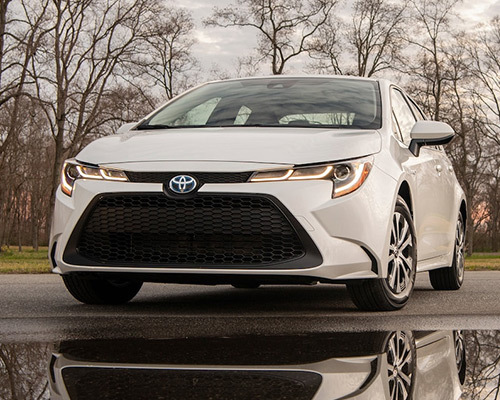 Toyota has thwarted consumers from meeting halfway on both ends of the spectrum by supplying the reimagined Corolla with ample quantities of tech innovations, stylish design characteristics, and safety components. 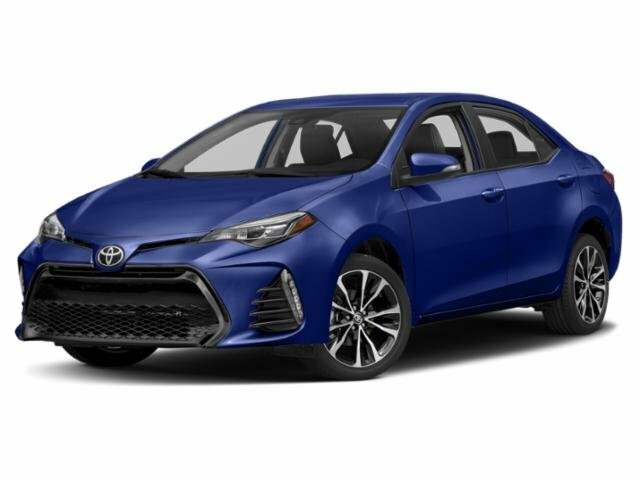 Identifying which of the Corolla variants is the best-suited pick for you and your bunch may entail some guidance from automotive professionals, which is why our team of Toyota experts shares all of the information necessary for potential buyers in the Westbury area to buy or lease with assurance. The distinguishing structure starts to take shape with stock Bi-LED headlights that use a reduced volume of energy sources to brighten dark roads. For the next phase of enhancing outward attraction, go for a setup of Multi-LED headlights with built-in accent lighting and 17-in. machined alloy wheels with black-finished trimming to elicit gazes. For motorists who prefer to really jump out, the SE and XSE versions are fashioned as assertively sporty with a rear spoiler that flows smoothly into the deck lid’s sleek contours to emphasize Corolla is most assuredly a fun mode of driving. Corolla’s roomy interior for a total of five people presents a posh setting that expresses you have arrived. As fluid dashboard curves and a touch-screen accented in piano black highlight optional contrast stitching (Vivid Blue or Orange Zest) and top-grade materials, obtainable SofTex seats designed to counteract water and discolorations form supple sitting places. A 60/40-split arrangement grants you the ability to increase trunk volume by transporting elongated cargo next to one occupant in the back or packing big loads with both rear seats pushed down. It all fuses together for comfy commutes altered to what you have planned. Purchasing or leasing the reimagined Corolla from Westbury Toyota lets you gain the various advantages of an aerodynamically structured sedan. Toyota put extra focus on generating greater proficiency through the mix of a modified body, renovated bumpers, flat floor, and wind tunnel assessments to assure maximum performance. Choosing LE Eco also improves fuel consumption with an EPA-projected 40 highway miles per gallon (mpg) produced utilizing the ECO Mode button and intelligent Valvematic technology on a shiftless transmission. From everyday commutes to weekend trips, Corolla LE comprises everything you need to make any ride in Westbury a delightful experience. Proving this assertion is no challenge, of course, when you take into account amenities like remote keyless entry, automated climate control, heated power outside mirrors, and tech controls mounted on the steering wheel. Putting your name on a tantalizing Toyota Corolla XLE tells anyone you expect luxury in regard to every part of the car you operate. Anytime you are behind the wheel, experiencing the finer perks of owning this sedan entails a power-tilt moonroof with sliding sunshade, Smart Key System, heated seats in the front row, and bumper integrating LED Daytime Running Lights (DRL). Establish your dominating presence in the fast lane through Corolla SE 6MT’s sporty front fascia displaying a mesh-styled grille in gloss black, chrome-tipped exhaust, rear combo taillights with LED backup lights, and turn signal blinkers on the color-keyed mirrors. This aggressive spirit carries over to the cabin, as well, with SofTex-donned front sport seats and chrome-plated odometer and tachometer in the sport gauge cluster. Looking to take control of a sportier sedan? SE, SE 6MT, and XSE are outfitted with a Sport Mode button on the center console and paddle shifters that let you control shifting gears without lifting your hands off the steering wheel wrapped in leather. Simply give either lever a light pull to shift instantaneously. The data you aim to swiftly see during your sports-car-like runs are visible, as well, on the 4.2-in. Multi-Information Display (MID) in color and lit odometer and tachometer in the stock sport gauge cluster. 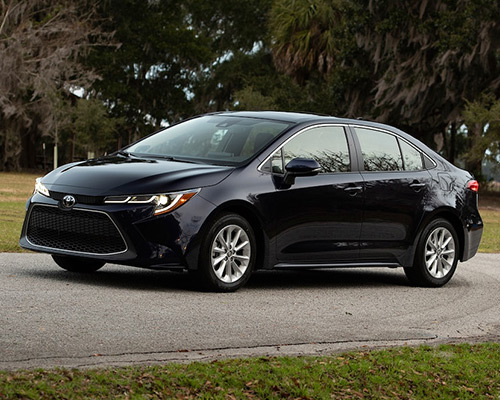 Usefulness and accessibility are the bases of electronic systems the most recent Corollas to buy or lease from Westbury Toyota feature for easily connecting while hitting the streets. Bluetooth syncing allows you to take calls and stream your playlist without holding your cell phone. When you want to call somebody or switch the track playing, advanced voice recognition is only a click away on the steering wheel. Also, power your mobile devices wired to the standard USB plug. As the higher-end version, Entune Premium Audio adds an integrated navigation system and a selection of apps, like OpenTable (restaurant reservations), MovieTickets.com, and Pandora. This makes planning occasions out on the town more convenient than ever! 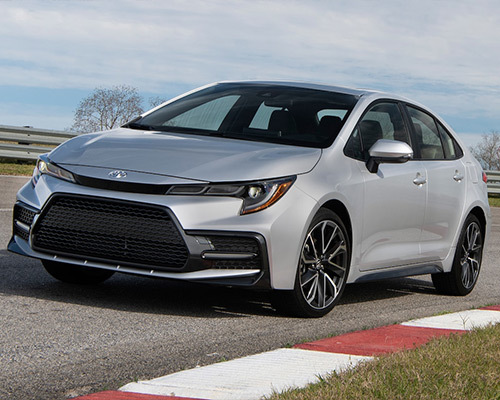 A lot more consumers are driving off our lot in Westbury as owners of a completely new Corolla because of the myriad terrific features noted. Visit Westbury Toyota today for an up-close look at the models you are interested in owning or leasing.